New Year Address to the Nation, by President of Russian Federation Vladimir Putin, December 31, 2018. Al-Manar Journalist: By the admission of a Zionist General, the Israeli army is not ready for war, and the Israelis will pay a huge price. Report: The testimony comes from their own ranks: the Israeli army is not ready for war, and Israelis will pay a huge price because of dangerous lies about the security situation. Contrary to what was happening before, the response of the spokesman for the soldier's affairs, General Isaac Brek, was scathing and public, following claims of the Army and Ministries of Foreign Affairs and Defense in the Knesset, who said that the Army was ready for war. Brek attacked violently these claims, as if he wanted to publicly wash his hands, saying that no one could claim that he had not warned (everyone about the dangers of the Israeli adventurism). Zionist Analyst: Brek says in his (open) letter that Israeli citizens will pay a huge price because of dangerous lies from the military institutions, and no one can say he did not warn the public about this. And he insisted again on the many flaws and gaps in the supply level and ability of the ground forces, who are not ready to face the next war. 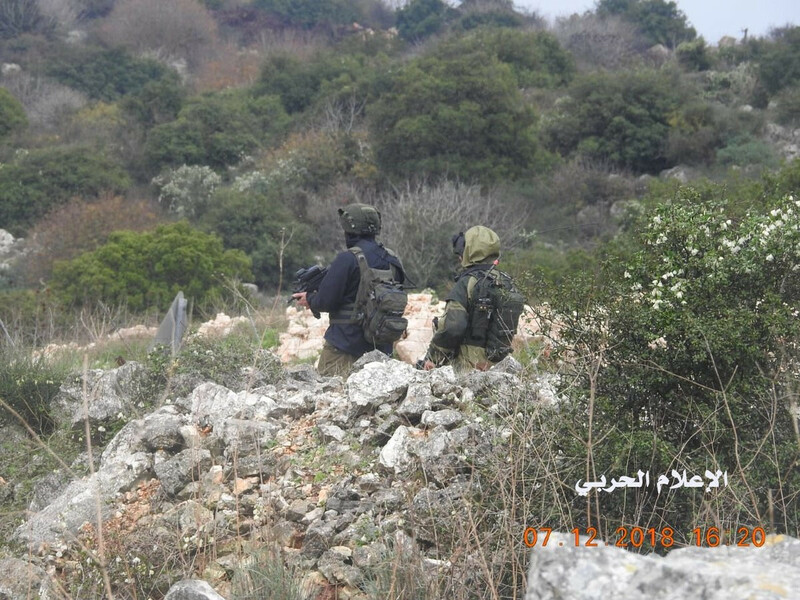 Report: And in his position that reveals the truth about Israel's capabilities, Brek confirms that the claims about the army's readiness do not reflect the dangerous reality of the army in the field. Zionist Analyst: When paying attention to detail, we see many similarities between the assertion of the internal committees of the army and Isaac Brek. The committees talk about problems in the readiness of the army and in the coordination (of the forces), and they know that there is a problem in the human element, evoked by Brek. Brek said many true things. Report: Faced with this situation, Brek then describes what is happening as a lack of responsibility among senior government officials of the occupant entity. Zionist Analyst: We should talk about the insufficient capacity of the infantry, which represent a complex challenge requiring a lot of money and stability. And this persistent problem is very important, as these forces have sometimes received the required funding, and sometimes not. And when that does not happen, the fall is very hard. The specific cases in 2014 and 2015 raised by Brek relate to drastic budget cuts that have heavily burdened the infantry forces. Report: This confession became a heated debate within the Zionist entity, and describes the real situation of the Israeli army, sharply weakened, leading to strong fears and anxiety for any future confrontation. 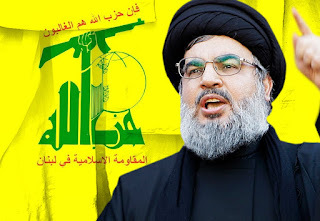 Report of Al-Manar TV, Hezbollah channel, December 27, 2018. Al-Manar Journalist: Zionist security sources responded to Moscow's Statement that the latest Israeli strikes in Syria endangered two civilian planes over Lebanon by saying that Moscow has not kept its commitments regarding the Iranian presence there, and Zionists analysts have recognized that freedom of action in Syria is dramatically reduced. The occupying entity has clearly expressed its discomfort with the Russian position which has denounced the endangerment of two civilian planes over Lebanon during its aggression against Syria on Tuesday evening. This position was expressed to the Associated Press by an anonymous Zionist security source who accused Russia of not having kept the promise to repel Iranian forces at 80 km from the border with the occupied Golan, thereby acknowledging that the Zionists were responsible for the recent strikes against Syria. Ayhud Ya'ri, Zionist analyst of Arab affairs: This is the first time that Russia described the Israeli attack as a provocation, and this clearly indicates that the Russian Ministry of Defense has lost patience. And Syrian sources claim that the anti-aircraft missiles that were fired against Israeli planes could fall, next time, accidentally or intentionally, on the positions of the Israeli army in Mount Hermon (occupied Syrian territory). Rouni Daniel, Zionist analyst of Arab affairs: The Russian position brings us to a critical point, because they absolutely refuse the Israeli freedom of action and want to end it. And I do not think that Israel is able to respond favorably to this request. Report: The Yediot Aharonot commented the Zionist aggression in Syria by saying that in light of the end of the chaos there, Israel's ability to conduct attacks against Syria without paying a price is over. Tzveka Yahzkalay, Zionist analyst of Arab affairs: The opportunities for action in Syria are closing inexorably, and it is doubtful that Israel could carry out attacks whenever it wishes, because such windows of action disappear, and the question is this: will Israel manage to prevent the Iranian presence after the US withdrawal? It is difficult to say at 100% that Israel will succeed. Report: Unlike the usual practice, Zionist analysts acknowledged that the Syrian air defense system is now able to face the Zionist missiles over Syria, and intercepted a number of them during the last attack near Damascus. Rossiya 24 Report, December 26, 2018. Journalist: "Prolonging the conflict and supporting the terrorists". This is a statement by the Syrian Foreign Ministry regarding the probable, as the local diplomats and politicians see it, goals of the Israeli missile attack against Syria. Last night, for 1.5 hours, the outskirts of Damascus were under fire from the direction of Lebanese airspace. The air defense system shot most of the targets down but there are still some victims; an ammunition depot was damaged. "Basically, this is a rude violation of Syrian sovereignty and the terms of a UN Security Council Resolution". This is the reaction by the Russian Foreign Ministry. The Duma members from the Committee on Friendship with the Syrian Parliament agree with that, saying that this is an obvious attempt to destabilize the situation and that this is obviously helpful to the militants whom Israel claims to be fighting. Another important detail from the Russian Defense Ministry: As it turned out, the Israeli strikes took place just when civilian planes were landing in the Beirut and Damascus airports. We'll ask Vadim Zavodchenkov: What's the point of such tactics? Vadim, greetings. Journalist: Were they using the civilian planes as cover? Vadim Zavodchenkov: Well, Alexey, the initiators of the attack surely knew that their actions posed a danger to civilian planes and passengers. Here's data from FlightRadar24.com about the traffic in the sky above Syria just before the attack on Damascus. One can see that there are both transit airplanes and the planes that took off from the capital in the south of the country. Of course, the Damascus airport traffic can't be compared to the traffic of Israeli airports or other Middle Eastern countries. Nevertheless, 15 planes in total were to depart and arrive this day, heading to Kuwait, Iraq, the United Arab Emirates, and Jordan. The Syrian flight operators had to urgently reroute a civilian plane to the alternate airfield of Khmeimim because of the American-made aerial bombs which Israel had used before. GBU-39 is equipped with folding wings and is capable of gliding, which dramatically increases its combat range. Despite the fact that it's considered to be a small diameter precision bomb, the results of its use may turn out to be rather big. Victor Zabolotsky, honored test pilot: "If air traffic control doesn't warn the pilot that there's something odd in the area near you, for example, a missile attack or something else, then the only thing that's left is to leave the area because no one knows where they will strike, whether it's the airport, a hangar, or some warehouses. Even if they blow up a depot, the fragments may disperse as far as 15 kilometers and so on". The latest version of the American bomb is capable of eliminating even moving targets. Such a capability is granted by the joint use of GPS, infrared and radar homing. However, even such advanced munitions can't stay undetected by Syrian air defenses. According to some data, the Syrian government forces could have used the Pantsir S-1 air defense complex. It was used many times earlier, for example, to fight terrorist drones. The Pantsir S-1, operating on the move, is capable of eliminating a target flying at a speed of 1,000 meters per second. It's almost impossible to evade it. The Pantsir is capable of detecting a target up to 80 kilometers away, it can acquire up to 10 targets per minute, and track up to 4 targets at the same time. However, they had to limit the deployment of air defense systems and electronic countermeasures systems due to the threat to civilian planes. The goal of electronic countermeasures is to interrupt the satellite signal, thus leaving the missiles or aerial bombs without any way to home in on their targets. However, due to radar jamming, civilian planes can also go blind because their course is corrected with the help of GPS. Alexey Leonkov, military expert of Arsenal Otechestva magazine: "The means of electronic countermeasures work on certain frequencies and can affect civilian planes. They started the attack right when the planes started to land. Those were the civilian planes near Damascus, they attacked the Damascus airport. Officially, there is no war there anymore, so there were no restrictions for landing". Thanks to the precise, selective implementation of the Syrian air defense systems, 14 out of 16 guided aerial bombs were destroyed. Alexey. Journalist: Thank you. Vadim Zavodchenkov about the goals and means. Vladimir Putin's annual press conference, December 20, 2018. [...] Rachel Marsden: President Putin, Rachel Marsden with the Tribune Publishing out of Chicago, United States. Yesterday, President Donald Trump announced the withdrawal of the American troops from Syria. He also announced that, in his opinion, the United States defeated ISIS in Syria, he made that very clear. What is your position with respect to his statements, both on the withdrawal of the American troops from Syria and also with his statement regarding the defeat of ISIS by the United States? And, secondly, do you have concern that the American troops will remain in some form? There has been much discussion, for example, around the presence, potentially, of contractors in other jurisdictions where the United States is either out of militarily or might want to be out of militarily but in a more discreet way. Vladimir Putin: As concerns the defeat of ISIS, overall I agree with the President of the United States. I already said that we achieved significant progress in the fight against terrorism in that territory and delivered major strikes on ISIS in Syria. There is a risk of these and similar groups migrating to neighbouring regions and Afghanistan, to other countries, to their home countries, and they are partly returning. It is a great danger for all of us, including Russia, the United States, Europe, Asian countries, including Central Asia. We know that, we understand the risk fully. Donald is right about that, and I agree with him. As concerns the withdrawal of American troops, I do not know what that is. The United States have been present in, say, Afghanistan, for how long? Seventeen years, and every year they talk about withdrawing the troops. But they are still there. This is my second point. Third. So far, we have not seen any evidence of their withdrawal but I suppose it is possible, the more so because we are progressing towards a political settlement. The current issue on the agenda is building a constitutional committee. By the way, when we met in Istanbul – I mean Russia, Turkey, France and Germany – we agreed to make every possible effort to create this constitutional committee and Russia, for its part, has done everything in its power for this to happen. As strange as it may seem, we fully agreed on the list of members with President al-Assad, who designated 50 people and was involved in selecting 50 more from civil society. Despite the fact that he is not happy with everything, he agreed with this. Turkey, which represents the interests of the opposition, also agreed. Iran agreed. We submitted the list to the UN and, as Minister Lavrov reported to me just yesterday, unexpectedly, prompted by our partners – Germany, France and the United States – UN representatives (Mr de Mistura) decided to wait and see. I do not understand what is going on there but at any rate, I want to believe that this work is in its final stage. Maybe not by the end of this year but in the beginning of the next the list will be agreed and this will open the next stage of the settlement, which will be political settlement. Is the presence of American troops required there? I do not think it is. However, let us not forget that their presence, the presence of your troops, is illegitimate as it was not approved by a UN Security Council resolution. The military contingent can only be there under a resolution of the UN Security Council or at the invitation of the legitimate Syrian Government. Russian troops were invited by the Syrian Government. The United States did not get either of these so if they decide to withdraw their troops, it is the right decision.